A town that is frozen in time for the last hundred years with a current population of under 20 but visited by around 150,000 people every year – where that could be? Let the suspense linger on, but I will be more specific. 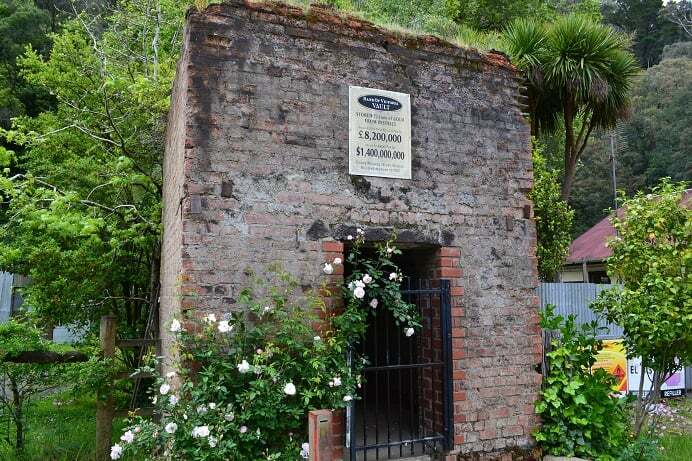 Between 1863 to 1914, it was one of the richest townships in Victoria, Australia and during that period around 3000 fortune seekers pushed their luck to the extremes to achieve this distinction. 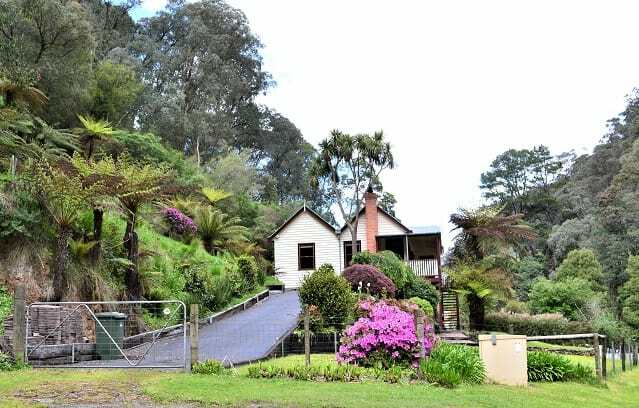 The life stories of those hardworking individuals are also part of the history of this beautiful yet bizarre township that is nestled in the Victorian Alps. The story of Walhalla began when a group of prospectors led by Ned Stinger, reached Thompson River and followed it downstream exploring its tributaries and finally found Gold at Walhalla. Walhalla was not its original name. It was infact named Stingers Creek initially and renamed Walhalla in 1866. Walhalla was the name of the largest mine in that area at that time. Ned Stinger was no ordinary man. Stringer, born in England was sent to Tasmania in December 1842 for ten years after being convicted of burglary and theft. He was granted a ticket-of-leave in 1847. Stinger came to Melbourne, with the determination of a convict who was enjoying the taste of freedom for the first time, to make it big in his adopted land. After finding Gold at Walhalla Stringer strode out of the hills in January 1863 to register the claim. By the time he was back, the word has got out and the Gold rush to area had begun. Within a year, at the age of 44, Ned Stinger died of ill health, leaving others to enjoy the fruits of his labour. 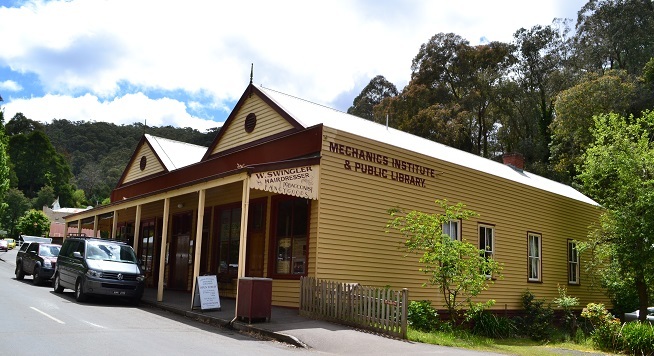 Like Stinger, Walhalla is no ordinary town either, it had its own ups and downs during the Gold Rush Period. In 1863 itself, lack of provisions and low level of water in the creek had effected the prospectors and many started leaving the township. Stingers Creek was nicknamed as Starvation Creek because of that. Agnes Buntine was one of the first people to take provisions into the half-starved miners on Stringers Creek in January 1863. She had her goods stored at Toongabbie and many followed which resulted in the growth of Toongabbie as a township. 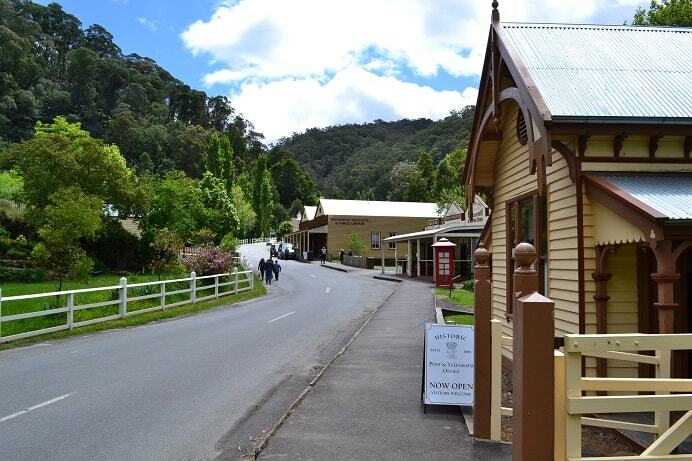 As we drove into the Walhalla township, the first thing to catch our attention was the Walhalla Railway station. When we entered the Station, the station in charge was explaining the history of the station to two other visitors. 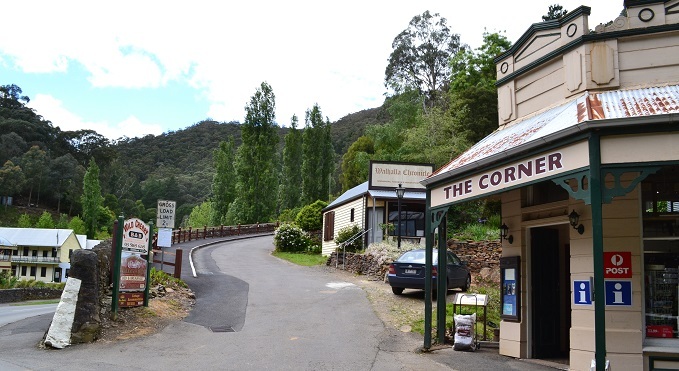 Walhalla got its railway station at its dying stages as a bustling mining town. The narrow gauge line was completed on 1910. By then, the Gold prospecting in the area was not profitable anymore and in 1914 the largest mine in the area stopped its operations. Since 1914 the Railway line was mostly used for carrying timber to the Saw-mils around Erica. As the goods and passenger traffic declined, one by one different sections of the railway were closed and finally in 1960, the tracks and the buildings were removed leaving only the bridges. The station building at Walhalla was relocated to Hartwell station in Melbourne. 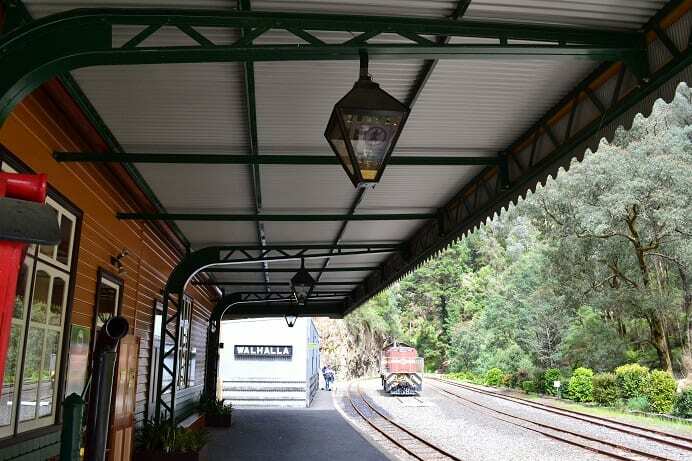 Seeing the tourist potential, Walhalla Goldfields Railway, Inc. was established in 1993 to rebuild and restore the railway line and the station. From 1994 onwards different sections of the railway recommenced operations and by 2002 an operating line of 4km were established through the nationally heritage listed Thomson river bridge. Today it carries around 40,000 passengers each year with services on Wednesday, Saturday and Sunday. 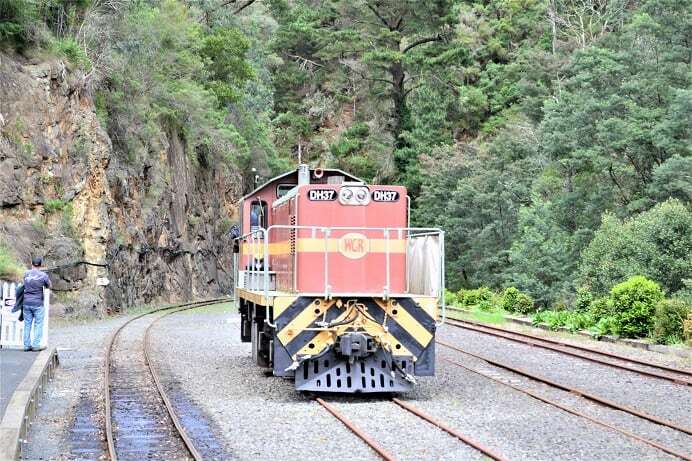 The train departs from Walhalla heritage precinct passing through the historic Thomson river bridge to arrive at Thomson station and returns back. A short drive from the station takes to the town centre. Town centre consists of a couple of streets. The narrow main street bordered with buildings from colonial era and English gardens, look nearly as it was 100 years ago. But most of the buildings you see now are rebuilt in the 1960’s or even later. The mechanics institute was rebuilt in 1988, the Star hotel was rebuilt I n1998. The corner store was restored to its original design in 1970’s. The fire station was rebuilt in the 1960’s and now serves as a museum. The fire has struck Walhalla many times before, destroying its heritage buildings. The Post Office is one of the original building that escaped fire miraculously many times and is free for visitors. Opened in 1886, in its early days it was handling nearly 50,000 mail items a year. This is the only original public building remaining in the town. 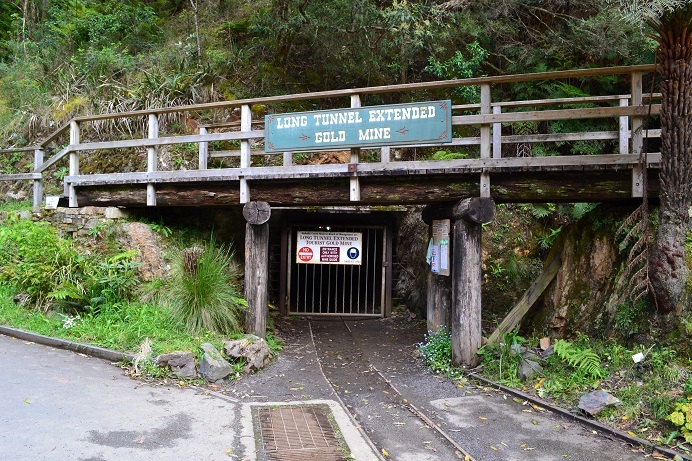 The main attraction in Walhalla is the Long Tunnel Extended Gold Mine Tour. The scheduled tours are from noon. The mine is well lit and will serve as educational for school aged children. In its hey days this mine was the largest producer of Gold in Australia. The tour will take the visitors to 300 metres deep into underground machinery chamber. A visit to this bizarre township is more like a pilgrimage to a place stuck in time, but it is not everyone’s cup of tea. This is a place you should visit, only if you like history, camping and cool weather. Most of the visitors here are campers who want to spend a couple of days with the nature. There are two camping grounds, the North Gardens, which is free and a paid one, called Chinese Gardens. Walhalla is also the starting point for the 650 km Australian Alps Walking Track, which continues to near Canberra.